To help make sure the Holiday season is bright for all families, the Norwell Food Pantry organizes the Adopt-a-Family program each year to match sponsors with families in need. Recipient parents give the Food Pantry a “wish list” of clothing and toys for each child. The food pantry matches up sponsors with adults and children, (sponsors may choose to adopt one or all the children in a family) and the sponsors bring the wrapped and labeled gifts to the food pantry. 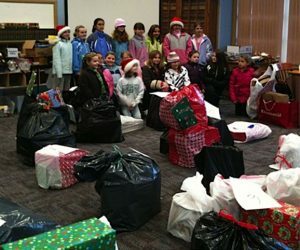 The program begins in November each year, ends a week before Christmas, and gifts are delivered to Town Hall mid-December. Don’t have the time to shop, but want to help…Gift cards from local markets and stores are always helpful.